The LIGHTHOUSE 100 course is Michigan's first point-to-point ultramarathon, spanning over a dozen cities, four counties, and stretching from Petoskey (Little Traverse Bay area) south to Traverse City, and then the final 20 miles are run on the famed Traverse Bay Peninsula, all the way to the Old Mission Lighthouse at the tip of the peninsula! Starting at a lighthouse, ending at another, and passing several more along the way, the LIGHTHOUSE 100 will give you an unforgettable tour of many of Northern Michigan's most iconic lakeside towns, such as Petoskey, Bay Harbor, Charlevoix, Torch Lake, Elk Rapids, and Traverse City! The first 20 or so miles of the course are run along the amazing Little Traverse Wheelway, a connected set of paved running/bicycle trails that hug the bay all the way from Petoskey to Charlevoix! After passing right through downtown Charlevoix, runners will turn south and spend the next twenty miles on quiet quintessential country roads, until they reach Torch Lake at Mile 40. Runners will then run right along side the west side of aquamarine Torch Lake, all the way down the lake until they reach Elk Rapids, a quaint lakeside town at right about the 100k mark. Exiting Elk Rapids, runners will make their way down the peninsula to Williamsburg (Mile 70), at which point they will gain access to the Traverse Area Recreation Trail (TART), a multi-use running/bike path that runs all the way to downtown Traverse City. The final 25 miles are spent on the unbelievably-scenic Old Mission Peninsula, running right along side the east coast of the peninsula all the way up to the tip! The race finishes in dramatic fashion right in front of the Old Mission Lighthouse. Congratulations, you have just finished the inaugural LIGHTHOUSE 100!! Now explore the peninsula's many breweries, vineyards, resorts, and B&Bs!!! On Saturday, June 10, 2016, at 6:00 am -- sharp! -- the Inaugural Edition of the LIGHTHOUSE 100 will commence from Bayfront Park, right in front of the Petoskey Pierhead Lighthouse, right on the bay in Petoskey! For the next 18 miles, you will be running on a peaceful paved trail, hugging the Little Traverse Bay all the way around the bay until you reach Charlevoix, one of Northern Michigan's most beautiful cities! 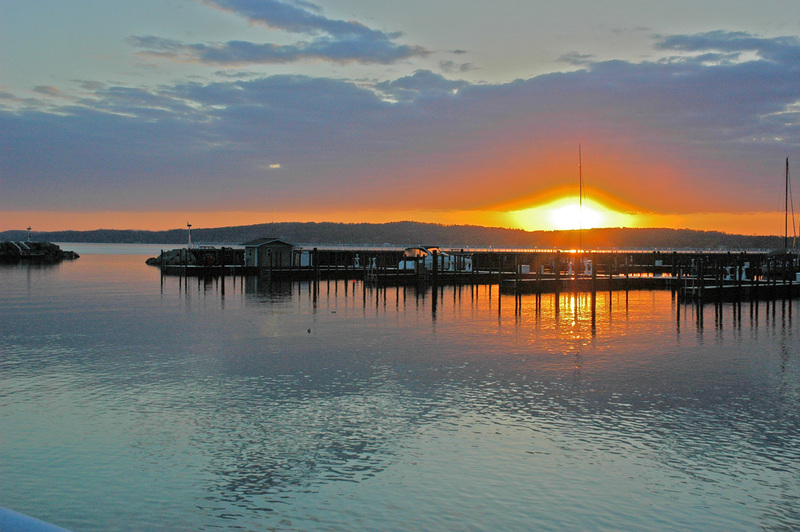 The Little Traverse Wheelway is a pedestrian and bicycle-only path, passing through several parks and cities (including Bay Harbor), as well as incredible vistas of the Little Traverse Bay!! At Mile 18, you will reach Charlevoix, crossing over a bridge, and continuing through the city's historic downtown, right past the iconic Charlevoix Lighthouse, and past Round Lake (which opens up to Lake Charlevoix). And while there will be aid stations every 10 miles, as well as coolers every 5 miles (for uncrewed runners), the Charlevoix checkpoint will be the first of 4 major checkpoints in the race, and will mark the end of the first section of the course! 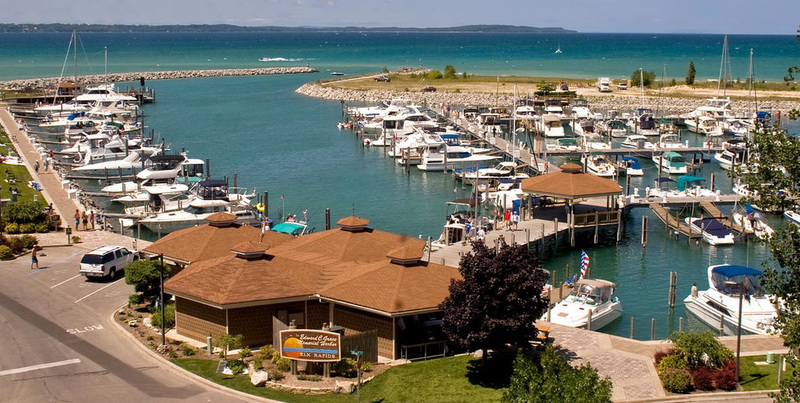 After running through beautiful downtown Charlevoix, you will continue to head south for another 22 miles, all the way to the north end of aquamarine-colored Torch Lake, widely considered one of the most scenic lakes in the country! 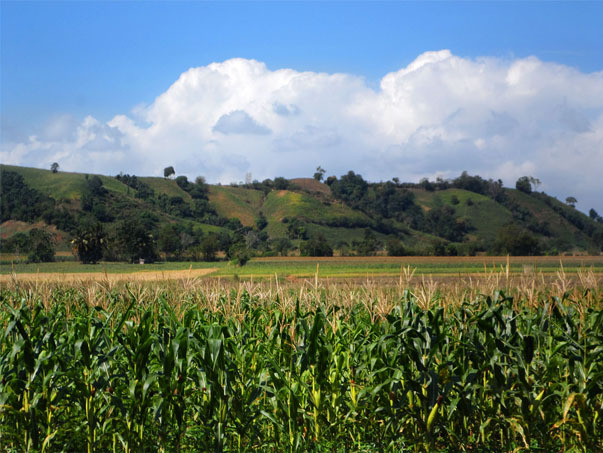 Along the way, you will run through quiet country roads, through farming communities and never-ending cornfields with picturesque views and expansive vistas! Additionally, once you leave Charlevoix, the course is no longer primarily flat, but will feature rolling hills throughout the rest of the race! None of these hills are particularly steep (the steepest hill is likely around 100 feet high), and your legs will actually welcome the change when you are on them! By Mile 40, you will be at Torch Lake, and ready to continue south towards Elk Rapids! Torch Lake Road is a quiet, residential road with little traffic, and very expensive real estate! After making the turn, congratulations, you are now half way through the LIGHTHOUSE 100!!! Upon passing through Elk Rapids, you will follow Elk Lake Road, and run south through the countryside until you reach Williamsburg, at which point you will gain access to the Traverse Area Recreation Trail, known locally as the "TART"! Like the Little Traverse Wheelway (Miles 1-18), the TART (Miles 70-77) is a car-free and scenic paved trail that will take you all the way into downtown Traverse City, before you head north for your final 23 miles on the Old Mission Peninsula!! Additionally, with the 6am start and a 10pm sunset, most runners will see the sun set during this stretch of the course. Fear not, though, because when the sun leaves you for the night, you will be greeted by a full moon on the night of June 10th to illuminate the rest of your journey! Okay! Well, here you are . . . your legs are tired, you've been through multiple energy lows, and you're basically on your tenth "wind" at this point! But it's all worth it once you turn north out of Traverse City and start heading north on the Old Mission Peninsula! Runners will hug the eastern shore of the peninsula all the way up to the top, running past multi-million dollar estates, several of Michigan's finest wineries and breweries, as well as many resorts! This peninsula is absolutely pristine, and many runners will get to experience a gorgeous Northern Michigan sunrise at some point on this last section . . . perhaps even when they reach the Old Mission Lighthouse itself!!! And -- interestingly -- when you reach the finish line, you will be exactly at the 45th parallel . . . half way between the North Pole and the Equator!!! Congratulations!! Now kick your feet up and enjoy your amazing accomplishment!!! You are one of the first people ever to run from Petoskey to the Old Mission Lighthouse!! !